Candles always create a warmer more welcoming environment. 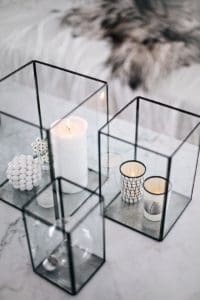 We love to use both regular scented candles and battery operated candles to create a twinkle and create a mood in our spaces. New favorite for Diane this year are the battery operated copper wire light sets we have at A Village Gift Shop you can take the lights and add them to your greenery displays on mantels in jars or on your wreath. 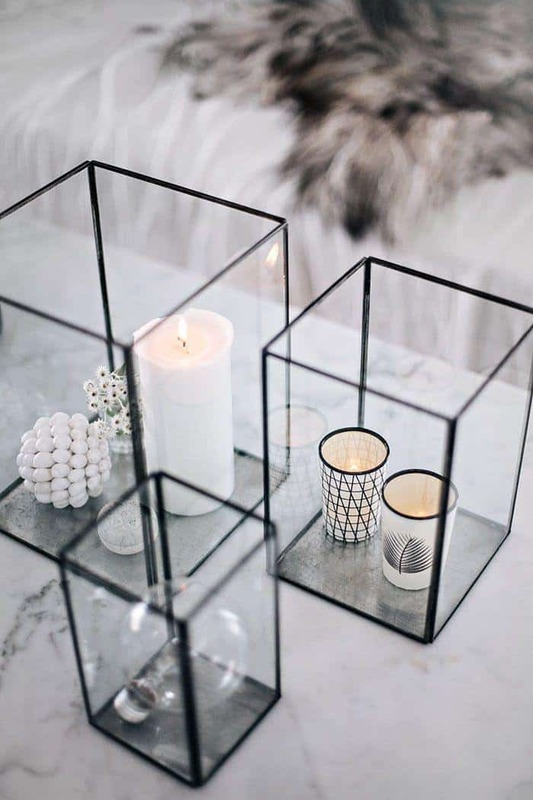 Consider adding candles to lanterns or clustering candles together on a tray with greens or seasonal accessories. Check out more ideas in the video collage below!